With police brutality already proven to have increased in the recent protests across the country, Ali Genç, an abusive officer who was involved in a violent arrest took it to the next level, asking for his colleagues’ opinion to dodge charges. 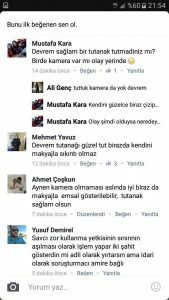 “Do some makeup” to have bruises, one of his colleagues responded to the Facebook Genç shared in closed alumni group. “Mates, ribs of a jerk were broken as a result of use of force. What penalty I would be given or have you ever experienced a similar incident?” Genç asked. 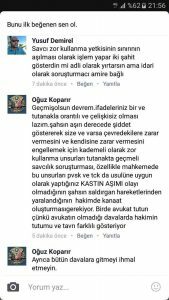 While the details about the violent arrest are yet to emerge, at least eight police officers shared their opinion below Genç’s question. What follows are some of the recommendations Genç’s friends suggested. “If you have two witnesses, you can dodge the judicial investigation but the administrative investigator was appointed by the top police chief,” Yusuf Demirel wrote. Mustafa Kara asked if any CCTV camera recorded the incident before advising him to have some bruises on his face. 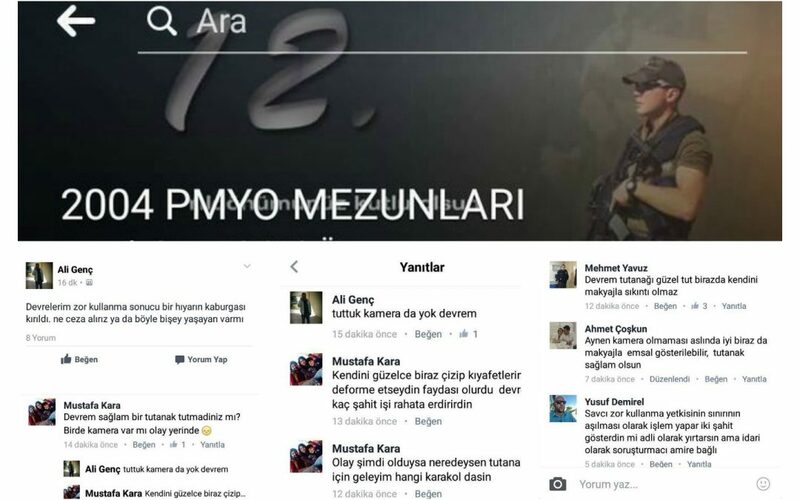 After Genç said there was no camera at the scene of the incident, Kara offered him to dent up his clothes to pretend like it was the suspect who attacked Genç first. 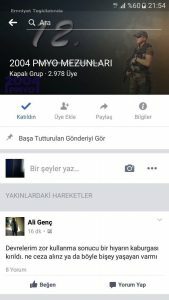 Kara also suggested to be a fake witness to help out to Genç. Ahmet Çoşkun agreed with Kara’s advice: “Yes, it is pretty good that there was no camera and added that a “solid” proceedings along with some makeup would help out.